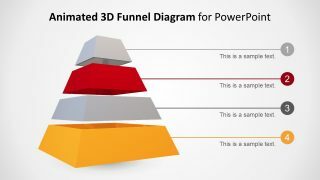 The 3D Animated 4 Step Pyramid Funnel Concept for PowerPoint has five layouts of the diagram. 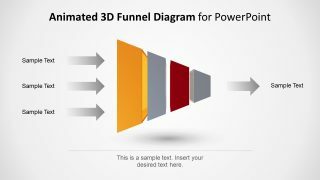 The template of a 3D funnel is a high-resolution PowerPoint diagram presentation. It displays the funnel diagram in horizontal and vertical direction. Also, it shows the 4-step pyramid shape in both top-down and bottom-up format. These four level pyramid diagrams are helpful in presenting priority stages. 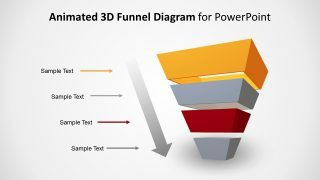 The 3D animated PowerPoint of funnel concept is a suitable template to display process flow and models. For example, the Maslow theory, corporate strategy, phases of learning and more. The companies can use the desire slides to demonstrate the product development lifecycle. But most importantly, they can use it explain the marketing strategy plans and the lead generation process. 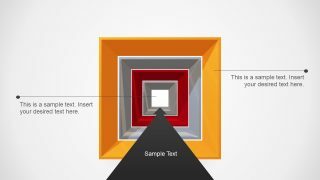 The 3D Animated 4 Step Pyramid Funnel Concept for PowerPoint displays the effective transition of stages. The first five slides display the design of the distinct layouts of 4 step diagram. 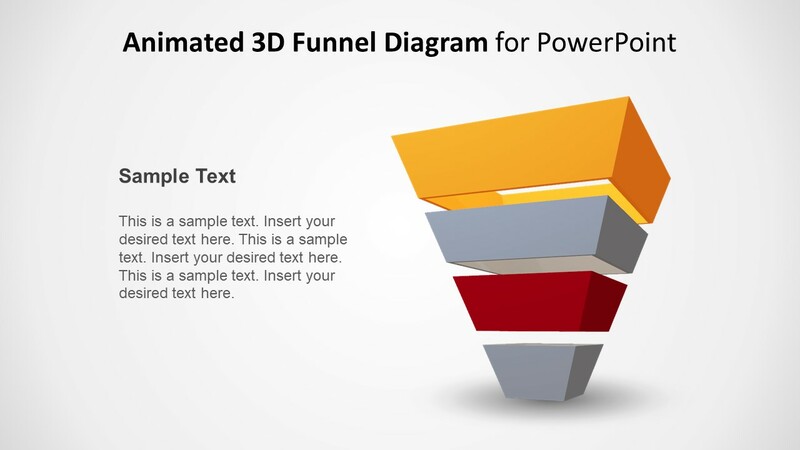 Each of these 3D funnel templates have a fresh style and positioning of text placeholders. 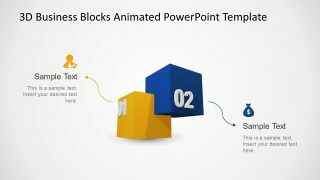 Whereas, the last two PowerPoint slides offer a unique 3D view of an animated diagram. 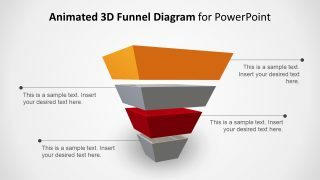 It illustrates how data enters the graphic funnel diagram and goes through several stages to produce the desired outcome. As the funnel diagrams are the step by step process of filtering the information towards the accuracy. This presentation is a sales and marketing concept diagram. 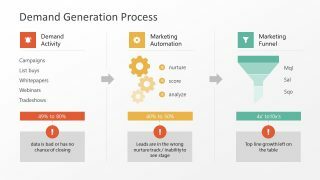 It is a frequently used template to explain lead generation and marketing strategies. 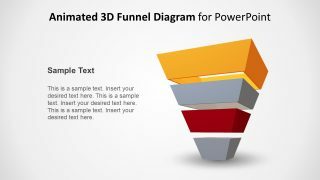 The 4 steps funnel concept PowerPoint is a 3D diagram and the animations enhance its visual. 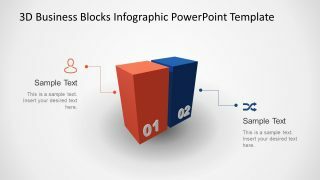 The editing features of PowerPoint assists the users to personalize the slides. For example, by changing the text, fonts, and size. Similarly, with 3D shapes, change the colors from shape fill menu. 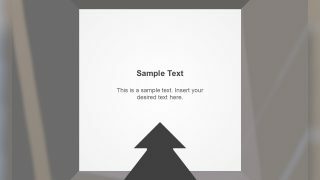 Or, the modifications in the transition and animations of 4 step funnel PowerPoint template. Such as the duration, effects, and on-click options. 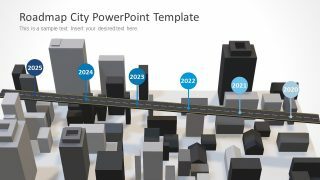 Alternatively, check additional 3D models for PowerPoint.